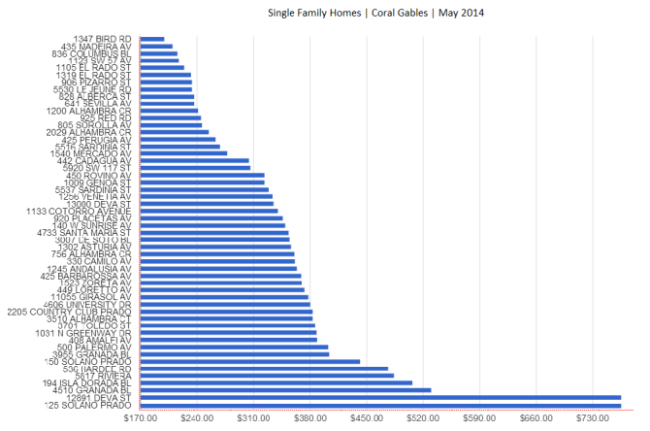 In the month of May, there were a total of 53 single family home sales, significantly higher from the 32 sales last month. Of the 53 sales, seven were waterfront homes and six were golf view properties. The average price per square foot for non-waterfront homes was $316, slightly up from the April and March, averaging at $303 and $312 respectively. Stay tuned to the blog to see how the trends in Coral Gables change over the month of June!